I usually think about how people draft their trips and vacations. Things like choosing a destination, selecting airlines and planning entertaining activities. Most times, I am kind of a random traveler. Living in Taiwan for such a long time, my travel pattern is that if the airfare looks right and the place sounds fun, I wouldn’t mind pay it a visit. Reading about Vietnam, I would choose Vietnam as a destination because it means a mysterious cultural discovery. Although Vietnam is a quite well known country because of its media coverage in films, news and television programs, Vietnam did not open its gate to the rest of the world until the end of the Vietnam War. 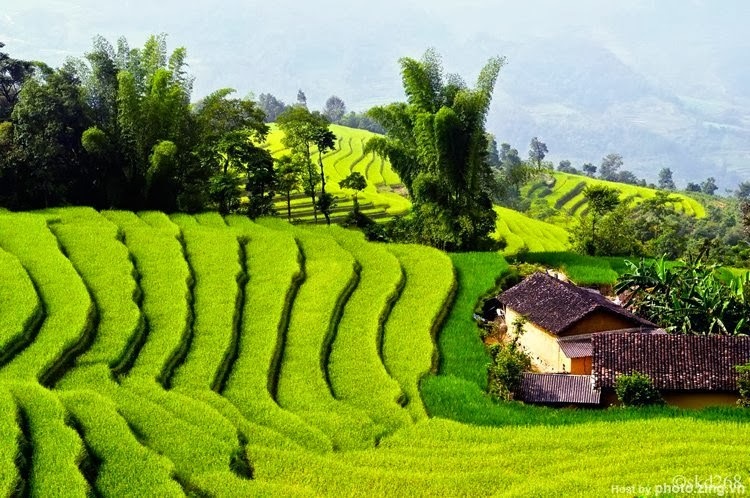 The media exposure did not ensure an accurate report of Vietnam, and not many travelers’ found the way to share their indescribable experiences. For a long time, Vietnam was occupied by various countries: Chinese Empire, France and Japan. During the Cold War, the North was controlled by China, and the South was supported by United States. Since the Vietnam War ended in 1975, Vietnam has been shaping its new identity. 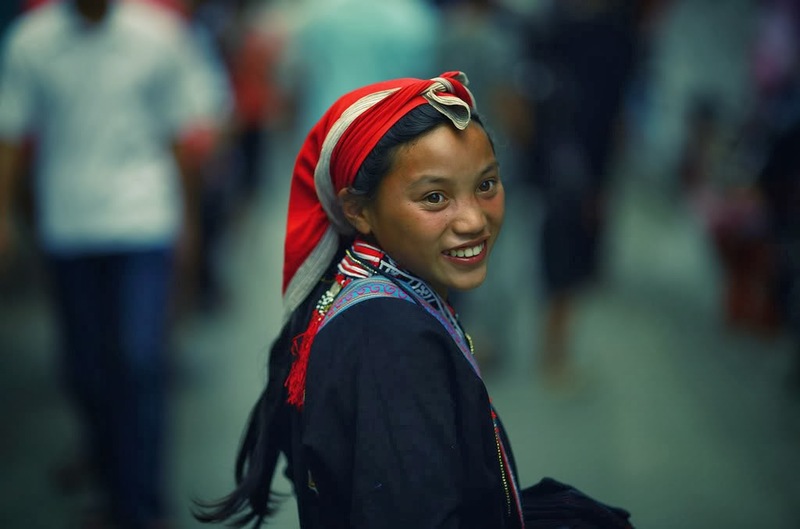 Under the influences of many other cultures, Vietnam blended them into their ancient traditions and made their own personality. Today Vietnam is welcoming visitors to show off its unique traits and share its national treasures. National parks in Vietnam are one of the country’s most valuable resources. From north to south, there are 87 national parks scattering around. They are nature reserves, historical sites and natural areas. The common issues among the national parks are the illegal hunters and traders. They endanger the nature cycles of Vietnam. The Vietnamese government and international organizations are doing the best they can to stop these harmful actions and to educate the public the importance of preserving the lands. Cat Ba Island is the largest island in the Cat Ba Archipelago in Ha Long Bay in the North Vietnam. About 16 kilometers away from Cat Ba Town, there is the Cat Ba National Park. The park’s headquarter is located in Trung Trang. One-third of the park is the marine zone, and the rest is the forest. Although there are many wild animals such as wild boars, macaques, deer, white-headed langurs, bird species and reptile species and over 600 plants in the park, they are not well protected. Some local people hunt them or make traps to capture them for their high prices in the market. Cat Bat is a great place for hiking and outdoor activities. However, if you are not an experienced hiker, trails at Cat Ba might be quite a challenge for you. In this situation, a sophisticated tour guide is highly recommended for the purpose of safety. Exploring Cat Ba, you will see one of the most beautiful landscapes in Vietnam and the copious ecosystem. Oriental pied hornbill, a very rare species in Northern Vietnam, can be seen in the park. Other attractions include limestone formations, numerous waterfalls, caves and grottoes. Human history dates 6,000 to 7,000 years back, and the entire Ha Long Bay region was listed as the World Heritage Site by United Nation Educational, Scientific and Cultural Organization (UNESCO) for its biological significance. 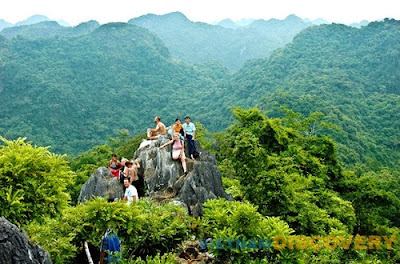 Cuc Phuong National Park was founded in 1962 in Ninh Binh province in Northern Vietnam . It is the first national park of Vietnam. The park is about 100 kilometers southwest of the capital. 90 percent of the park is covered by forests, and about 2,000 plant species grow in the park. More than 60 mammal species are in the park and the special residents in the park are the Red-Bellied Squirrels. The highest mountain is 648 meters above the sea level. Cuc Phuong is where the Endangered Primates Rescue Centre is located; the Center rescues the animals from illegal trading. Cuc Phuong National Park is also a main attraction for botanists. 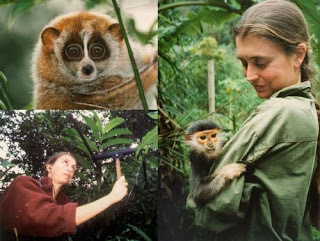 Researched done by United Nations Development Program (UNDP) and Flora and Fauna International (FFI) distinguished the complexity of the tropical forest and the monsoon influence on Southeast Asia in Cuc Phuong National Park. At the park’s surroundings you will see limestone cliffs, plenty of plants and mammals. The summit May Bac (silver cloud) is 656 meters in elevation. The limestone caves in the park are eminent attractions and include Thang Khuyet Cave, Con Moong Cave, Pho Ma Cave, and Nguoi Xua Cave. Quen Voi Cave presents diverse aspects of the limestone after its long-term weathering process. 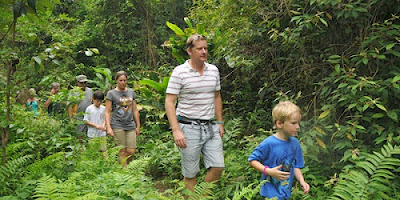 The best time to visit the park is during the dry season from April to November.